Back in February this year, my eldest child C was formally diagnosed with autism. I've written about the possibility of his diagnosis in the past and I will go into more detail on receiving his diagnosis in a separate post soon. 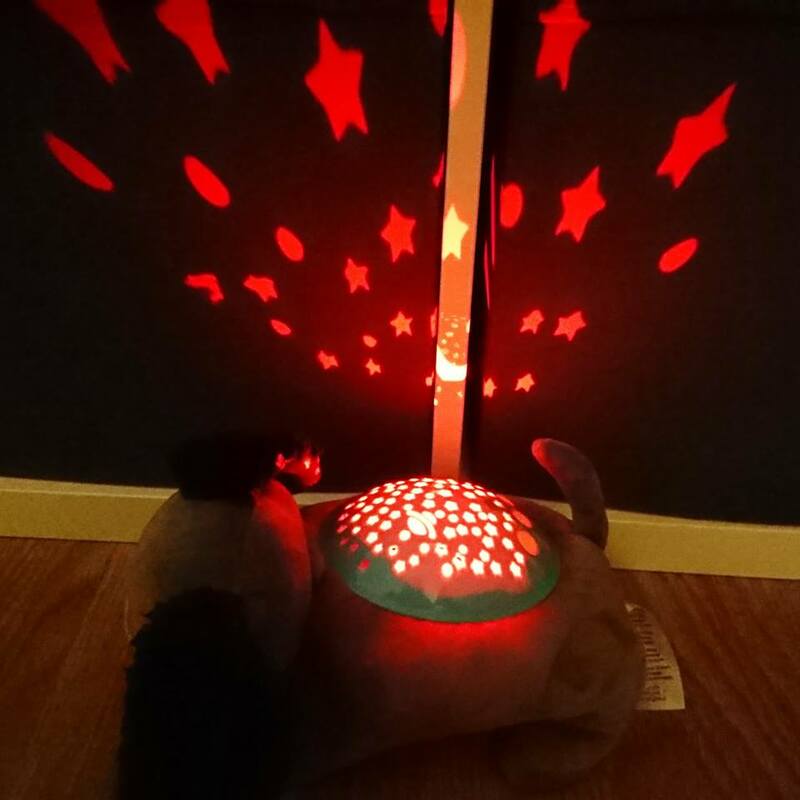 C is very much a sensory seeker meaning that he loves different textures, sounds and lights. 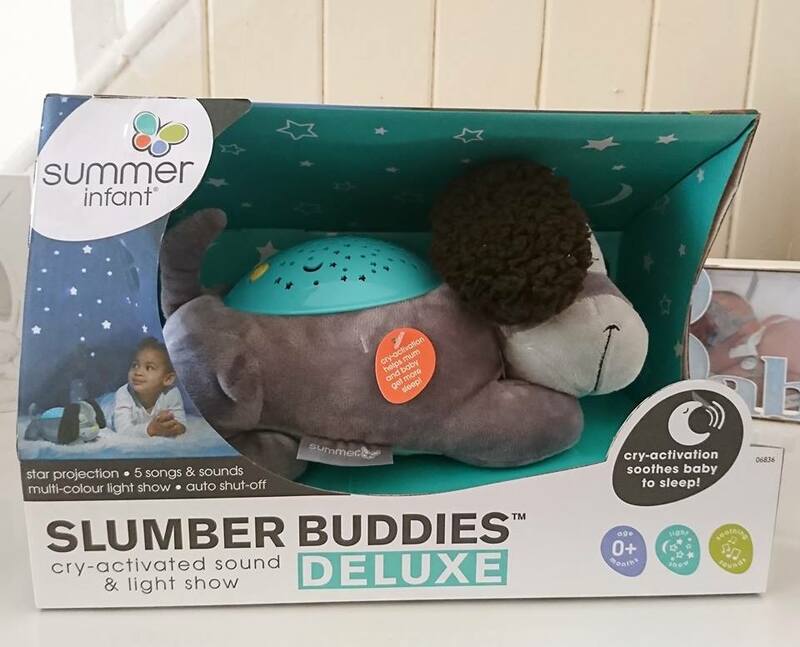 I was recently offered the opportunity to review a Slumber Buddies Puppy from Summer Infant and although that might seem a little strange for me to accept for an almost six year old, I felt that it would be something that he might enjoy and may give him that sensory stimulation that he looks for. The Summer Infant Slumber Buddy is effectively a sleep aid for babies. The one we received was the Puppy but it is also available in a range of different animals from dinosaurs to bunnies. As well as just looking like a puppy soft toy, you have the plastic "shell" on its back with cut outs of stars, moons and planets with three buttons at the bottom. The first button shines a coloured light through the shapes, projecting them on the ceiling and walls. If you continue to press the same button, you can switch the colour (red, blue and green). The second button plays a sound. There are five different ones that you can flip through from heartbeat, lullaby and nature. C tends to always opt for the nature sounds as I think they can be more calming for him, especially when he is starting to feel himself getting upset or angry. The final button is just three different volume controls, we tend to keep ours on the lowest to make it more peaceful. C took to the puppy straight away, mostly for the light aspect. He is very aware of feeling himself getting angry or upset and recognises that he needs to take some time away on his own. He's been taking his puppy to his bedroom and burying himself under the duvet, playing a sound and light of his choice. Usually this does help diffuse his bad mood and he gets a lot happier faster - it definitely cuts down on meltdown time! 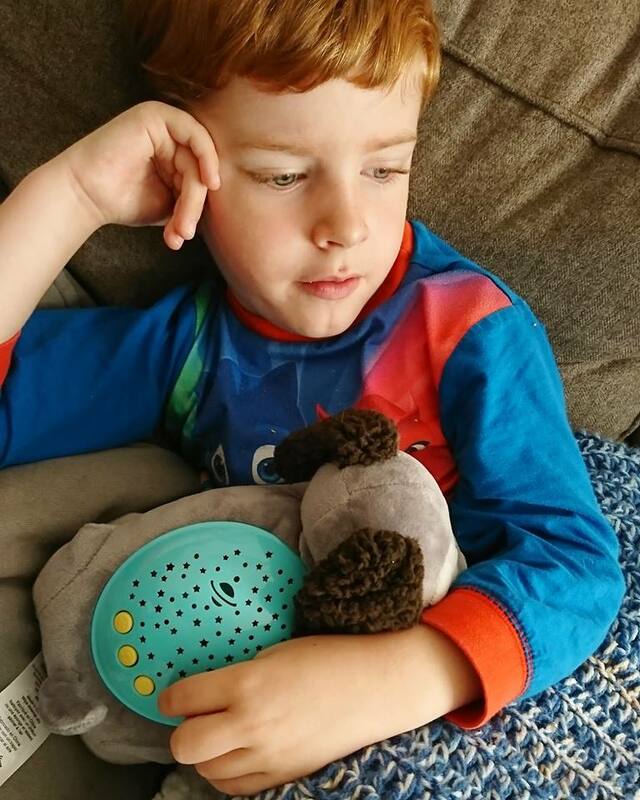 Recently he had been a little bit afraid of going to bed and would come downstairs at least four times a night, in hysterics, and we found it difficult to calm him down. 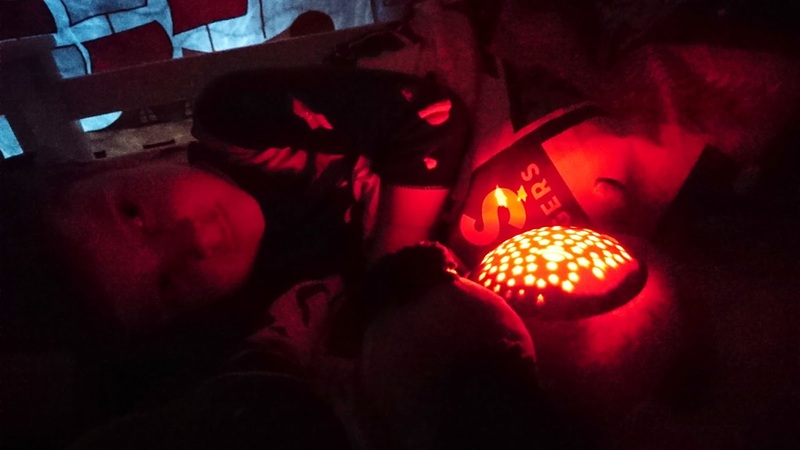 I started leaving the Slumber Buddy next to his bed with the light and sound already on, hoping that it would make him feel 1) sleepy and 2) safe with the lights. There are three settings inside the puppy where the battery pack is where you can choose whether to shut it off after 15, 30 or 45 minutes which is great as you don't need to worry about it being left on all night and wasting the battery. I don't know if it's a coincidence or not but we have had no issues with sleep since! I think this is absolutely amazing and it surpassed my expectations. His little sister E loves it too, the fact that it is cuddly is a massive plus! We have been using it all through the day, not just at night time. It's great for anyone with sensory issues and I can definitely see it being brilliant for smaller babies too. The Slumber Buddies retail at £24.99 each and you can find out more at the Summer Infant website.